A lemp server runs Nginx web server along with Php and Mysql or MariaDB on a Linux system. Nginx is increasing becoming popular because of its lightweight structure and ability to handle large amounts of traffic in an optimum manner. Mariadb is the replacement for mysql because mysql is not very free anymore. In this tutorial we shall be setting up Nginx with Php FPM on CentOS. The instructions to instal MariaDB shall be covered in another post. 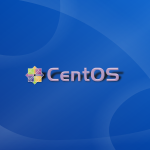 CentOS is a very popular os for linux based web servers. CentOS (Community Enterprise Operating System) is based on RHEL (RedHat Enterprice Linux) and is 100% binary compatible with it. 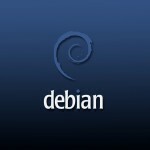 For us it simply means that its similar to rhel in its working and environment and that we have the handy yum command available to install software easily from the repositories. In this example we shall be working on CentOS 6.4 which, at the time of this post is a recent version. The first step is to install Nginx web server. Nginx is not available in the default CentOS repositories but nginx provides centos specific repositories for easy use. Now open the file and add the following lines. These instructions are provided by Nginx directly. Save and close. Now nginx can be installed. The above will download and install the nginx web server and make it ready to use. After the installation completes, its time to do some inspection. First use the service command to check the status of nginx. The above shows that nginx service is there but is stopped. Next check the configuration using the t option with nginx command. OK, now lets start nginx server. Now nginx is up and running. Find the ip address of the nginx server using ifconfig and connect to that ip from a browser to test it out. Virtual hosts or "Server Blocks" as nginx calls them, allow nginx to serve multiple hosts based on a name. For example it can host abc.com and cde.com together. All it needs is a configuration file for each host containing the host specific settings like root directory etc. Check the file and it will show the location of web files which is called the root. So our web file (.html, .php and everything) should be put inside the /usr/share/nginx/html directory. To create more virtual hosts, simply copy the default.conf file and edit the root path and server_name settings to match that of your domain/host. Now edit mysite.conf and configure settings like root directory and server_name. Then test your nginx configuration and restart server. That should create the new virtual host. When setting up the root directory for the web files, it must be ensured that the files and all parent directories are readable by "group" and "others" on the system. For example a permissions of 0755. Nginx would not be able to read the files, if the parent directories are not readable. Now that nginx server is up and running, next task is to install the php interpreter so that .php files can be processed by nginx. Since php-fpm is already part of the CentOS repository, we don’t need to create another repo entry like the one we did for nginx package. So to install php-fpm, we can just use the yum command. You may want to use the "-C" option if you don't want yum to update repository data before installing the packages. So create a file in that directory. After that we add this content to it. Now its time to open the file via our browser. NO, it won't work yet, since we have not configured nginx to execute php scripts. Nginx already comes with a default configuration to use php fpm. Open the /etc/nginx/conf.d/default.conf file and uncomment the following lines. The SCRIPT_FILENAME is very important and must point to the correct location, otherwise you would keep getting "File not found." error. Save the file and close it. Now test your new nginx configuration. Configuration is OK. Now restart nginx for new configuration to take effect. Done. Now open the php script in your browser and it should work right away. APC is the alternative php cache that enables php to cache both user data and opcode. This makes php execution faster than usual. The package for APC is available in the base repository itself so we do not need to configure any additional repositories. Install it using yum right away. The configuration file for apc is located at the following path. The same path is also mentioned in the output of phpinfo() function if you want to verify. The Configuration section of phpinfo.php page should have a section for apc which shows the values of various apc directives. All those directives can be configured in the apc.ini file. To fix this error, open the main nginx configuration file located at /etc/nginx/nginx.conf and add the following line in the http block. That will increase the hash bucket size and fix the error. modules must be compiled with nginx. they cannot be installed externally.